If you have some extra pieces of felt that is leftover from other crafts projects, you can turn them into this pretty felt basket with a few easy steps. It’s super easy to make, but the result is surprisingly gorgeous. 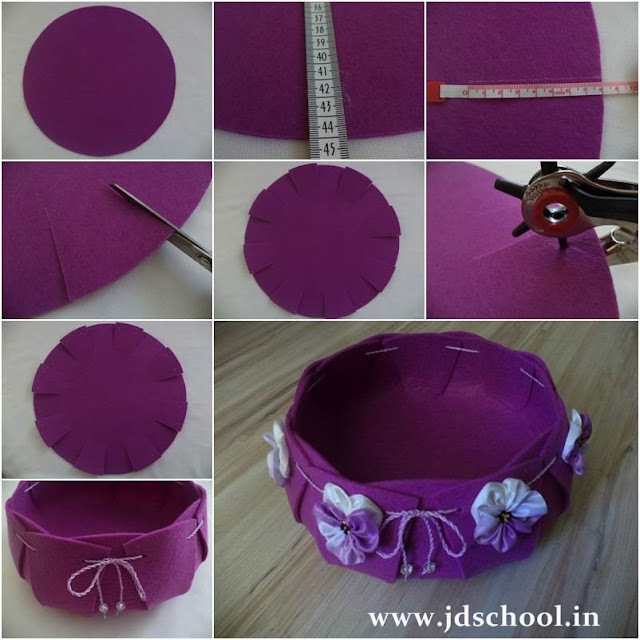 This purple felt basket with flower ornaments will be a beautiful piece decor for your home. You can use other materials and colors of fabric to match your home decorations. It’s great for putting small items such as chocolates, candies and accessories inside, or simply as decoration. Happy crafting!